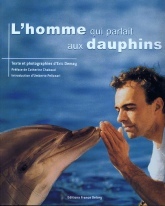 Eric Demay, born in Toulouse, was the founder and President of the “DOLPHY Observatory” between 1992 and 1995 and the “Tursiops Group” since 1993. He has been working with dolphins since his first encounters with the cetaceans of Bunbury (Western Australia), in 1992. This is where it all begins. His special relationship with the wild dolphins allows him to work in the nursing staff at the DOLPHIN DISCOVERY CENTRE, where he mainly looks after the female Sarana. This first trip to Australia later takes him to Monkey Mia where he helps the rangers of Shark Bay, Coral Bay and Coff Harbour where he takes care of dolphins in captivity. 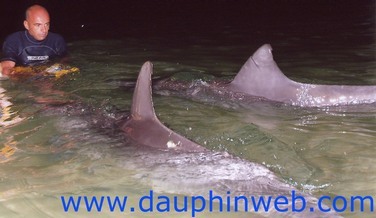 He then returns to France and works as researcher for the monitoring, protection and studies of the Dolphy dolphin at GECEM research group (Research Group of the Cetaceans of the Mediterranean) in Collioure between 1992 and 1995. He lives with this dolphin 24/7 for almost three years. He monitors the dolphin and learns a lot about the so-called “ambassador” dolphins through their interaction. 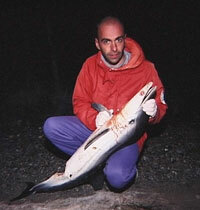 In 1996, he directs his first documentary with Jean-Marc Barr (The Big Blue): “Homme et dauphin: Mode d’emploi”. The documentary wins the first prize at the international festival of Ilckirch in 1997. 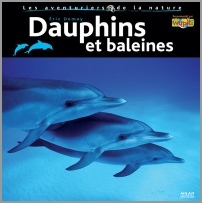 It is filmed in France, Spain, the US, Australia and the Bahamas with so-called “ambassador” dolphins and with US navy dolphins in Florida. 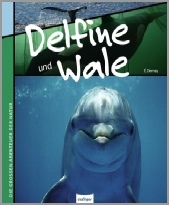 In cooperation with the Oceanographic Institute of Embiez, in 2000 he observes the behavior of a group of « blue and white » dolphins that entered the harbor. He saves the life of a dolphin by removing a hook stuck in its mouth, as depicted on the TV channels TF1, FR3 and TMC. 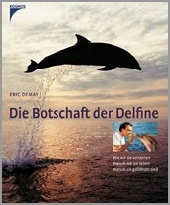 Since then, Eric Demay, author of several books on dolphins and cetaceans, such as « L’homme qui parlait aux dauphins » (The dolphin whisperer), « Die Botschaft der Delfine » (The message of the dolphins), « Dauphins, baleines et cachalots » (Dolphins, whales and toothed whales), has met dolphins all around the world (Australia, Bahamas, Japan, Polynesia, Zanzibar...) and shares his skills with various scientific groups.